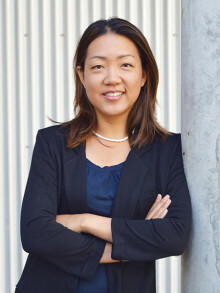 Leila Takayama is an acting associate professor of Psychology at the University of California, Santa Cruz, where she founded and leads the Re-Embodied Cognition Lab. Her lab examines how people make sense of, interact with, and relate to new technologies. Prior to academia, she was a researcher at GoogleX and Willow Garage, where she developed a taste for working alongside engineers, designers, animators, and more. Her interdisciplinary research continues in her current work on what happens when people interact with robots and through robots. Takayama is a World Economic Forum Global Futures Council Member and Young Global Leader. In 2015, she was presented the IEEE Robotics & Automation Society Early Career Award. In 2012, she was named a TR35 winner and one of the 100 most creative people in business by Fast Company. She completed her PhD in Communication at Stanford University in 2008, advised by Professor Clifford Nass. She also holds a PhD minor in Psychology from Stanford, MA in Communication from Stanford, and BAs in Psychology and Cognitive Science from UC Berkeley (2003). During her graduate studies, she was a research assistant in the User Interface Research (UIR) group at Palo Alto Research Center (PARC).